Part I discussed the benefits of using webinars and what it takes to create the finished product. 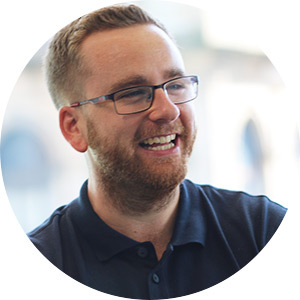 In Part II, we carry on our conversation with Andy Henton, Founder and Director of InsideScientific, and dive a little deeper into production considerations, different types of webinars and how this can fit into your marketing mix. What should companies consider when thinking about developing a webinar? The short answer is Project Management; Content; Marketing; Post Webinar Strategy; and Evaluation. How will you rank or determine the success of your webinar? All these things should be considered before moving ahead. Specifically, companies must first consider who will take responsibility for pulling everything together. Is this something that your staff members are well suited for, or is it better to outsource your webinar management to professionals? Regardless of how you choose to drive the project through to completion, it is also imperative to have a dedicated MARCOM strategy. 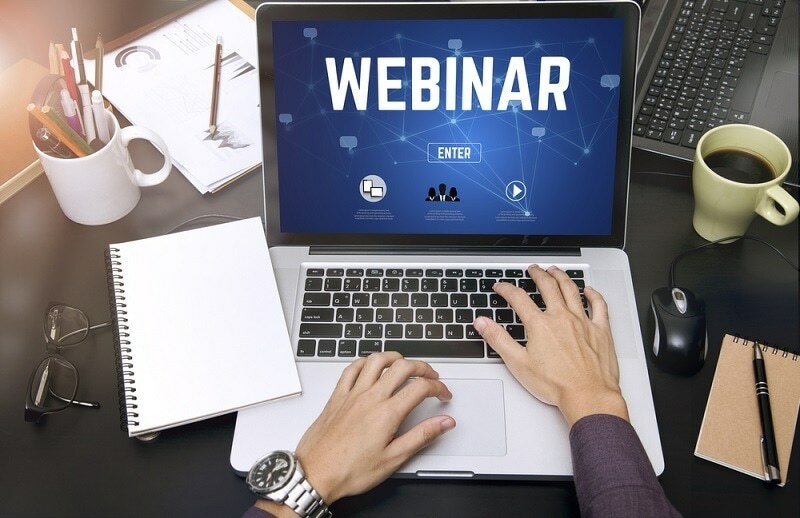 In my experience, the most effective webinars are those that include a multi-channel marketing effort, leveraging email marketing, social media and direct communication with existing customers and prospects. The earlier promotions begin the better – at InsideScientific, we like to kick off our MARCOM campaign 5 weeks before the live event. In addition, Account Managers, Sales Associates, and Customer Service Representatives should all leverage events like webinars as an opportunity to reach out to their key contacts and invite them personally. Webinars are an excellent ‘Sales Enablement’ tool. Once the live webinar is over, companies need to consider how the slides, webinar recording and supplementary materials should be hosted online. Will content be freely accessible, or gated? Also, how will your team drive content engagement and leverage these on-demand resources? Are there different types of webinars and how do you decide which type will work for you? Absolutely, there are infinite types – a webinar can take whatever shape required to meet the project objectives. Some companies may want to keep their webinars shorter (15-25 minutes) to deliver smaller chunks of information or provide a platform for small group engagement. Also, it can sometimes be more effective to keep webinars short & sweet, delivered at a higher frequency. AZoInsights: A recent ON24 webinar benchmarking report stated that Wednesday and Thursday are the best days of the week to hold a webinar1. Others may adopt a more common duration of 45-60 minutes but move away from the traditional “Lecture and Questions” format. I anticipate more webinars embracing a panel or being used for structured Q&A sessions with large user-groups. At InsideScientific, we have had success with “flip” webinars, where the content is driven by audience input collected during the registration process. It is effectively an organized Q&A session, where presenters select the most popular questions and provide detailed answers supported by slides, video and product demonstration. By embracing this format, teams can simplify the content creation process and be confident that they are delivering the specific information their audience is looking for. Do you have any success stories you can share that demonstrate the power of a webinar campaign? We have many, but a few client stories stand out. Data Sciences International (DSI) is a close webinar partner of ours, who has been producing content with InsideScientific since 2014. Early on in our relationship, we were able to identify a webinar process that aligned with their internal marketing workflow. A webinar series focused on trending experimental design, innovative technologies, laboratory best-practices, and exciting research case studies in the areas of animal behavior, cognition, learning and conditioning research. By sticking to a case study format, typically including two scientists conducting novel research using their solutions, InsideScientific are able to manage the webinar production and marketing process with little workload transferring to their staff. While members of the DSI team focus on their core objectives, InsideScientific drives their webinar program. To date, we have produced eight 60-minute case study webinars with DSI, which have collectively garnered well over 2000 registrations, with valuable market intelligence attributed to each. This metric alone illustrates the value of an on-going webinar campaign where multiple use cases for technologies can be shared, education can be provided across application areas and continued engagement with leads can be created. Another example that comes to mind is a campaign executed with Stoelting Co. focused on their animal behavior tracking software, ANY-Maze. Together, we planned a two-part webinar as a key component of their launch strategy for ANY-Maze 5.0. Challenged with how to focus the content of the webinar with so many new features and processes to share, we leveraged a “flip” webinar strategy to guide content creation. The procedures and test examples used during these sessions were those that were voted most popular and relevant by scientists – data that was captured as part of the registration process. The first webinar covered fundamental concepts and workflow, while the second session focused on advanced user functions, applications and data calculations. Collectively, this campaign garnered more than 500 qualified prospects interested in studying animal behavior and continues to be some of the highest viewed content hosted on InsideScientific (almost 11,000 views of the webinar recordings as of writing this article). The content produced by this webinar continues to be an asset to Stoelting Co., demonstrating the value of ANY-maze 5.0, attracting new leads and helping answer user questions. Where does this fit within the marketing mix? As far as fitting in with core marketing functions, webinars should be essential alongside blogging, email marketing, social media and live events (conferences, user-group meetings, etc.). Specifically, most educational webinars are top- or mid-funnel lead generation and lead nurturing projects, and the frequency and timing of these events should be influenced by how many products (or services) a company offers, market size and position, sales objectives and the budget at hand. Personally, I believe that all life science instrumentation and service companies should be considering four webinars a year, or an absolute minimum of two. Even for very small teams or start-ups, it is important to be creating video content at this frequency and engaging prospects online. For medium to large companies with various products serving multiple applications, webinars should be a priority. For these companies, planning and hosting webinars should be key initiatives that drive other content creation (white papers, ebooks, infographics, guides, application notes, etc.) and associated communications through email marketing and social media. A frequency of 1 a month, potentially more, is not uncommon. Do you want to learn more about webinars? Or, email InsideScientific at [email protected]. After completing an honours degree in Medical Science at Western University (Ontario, Canada), Andy spent 8 years working in the preclinical research instrumentation market, focused on commercialization of miniaturized catheter-based technologies for cardiovascular research. 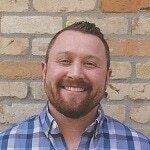 He has filled various roles focused on sales, marketing, and business development. In 2013, he co-founded InsideScientific, an online environment built for life science researchers focused on producing educational webinars, workshops and digital resources that help researchers do their best science. Insidescientific’s mission is to augment discovery by facilitating and continually improving the exchange of scientific information.